Churchill called the Soviet Union “a riddle, wrapped in a mystery, inside an enigma,” but this description aptly describes another country as well. For centuries, the very mention of China conjured a mysterious image, showcasing a complex, ancient culture whose development had almost nothing in common with that of the west (except perhaps an invasion by Mongols). The Chinese language, alphabet, economics, and social pressures are very different from those in the west. And this manufacturing-driven country adopted its own unique form of communism that has distanced their political thought and value systems from those with which we are familiar. This alien political mindset has recently resulted in a series of state-sponsored kidnappings that have shocked the world and threatened international order. The first series of abductions centered around the book trade. Hong Kong, while a part of China, is a “special administrative region” governed by a Sino-British accord that affords broader freedoms to residents of Hong Kong than to the people who reside on the mainland. A group of bookstore owners and employees were involved in selling books critical of the central Chinese government that included gossip about President Xi Jinping. These works became popular among tourists visiting Hong Kong and were officially banned on the mainland. However, simply banning the books didn’t satisfy the Chinese authorities. 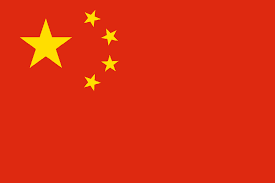 Between October and December 2015, Chinese Special Forces operatives kidnapped at least five booksellers from foreign countries and Hong Kong proper, detaining them without explanation, including one Swiss citizen. After a long silence, a series of confessions were released from these booksellers about their “crimes,” and they were slowly returned to Hong Kong after agreeing to settlements with the Chinese government that included avoiding any consultation with lawyers or communicating with their families. Swiss citizen Gui Minhai was released in August 2017, only to be taken again January 2018 while travelling with Swiss diplomats to Beijing to see a Swiss doctor for his ALS. Gui remains in custody despite strenuous Swiss efforts to have him released. In July of this year, China’s most successful actress, Fan Bingbing, disappeared without explanation after making a charity appearance at a children’s hospital. Fan was a rising superstar, the fifth highest paid actress in the world, starring in the X-Men and Iron Man films, a staple on the red carpet and major fashion industry events. 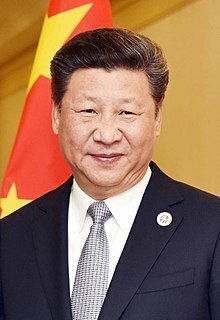 After a long period of silence punctuated by a denial of any tax evasion by her company, rumors that Jackie Chan had advised her to seek asylum in Los Angeles, a deleted tweet from an official Chinese government agency that claimed to have her “in their control,” an apparent confession and apology for tax evasion has appeared on the internet from Fan. The new official story is that she has confessed to tax evasion. Since she is a first-time offender, she will avoid jail time by paying a massive fine that appears to be several times more than her career earnings. Other documents leaked from the Chinese government indicated that she was targeted by a program to defeat the current “money worship,” infecting the film industry, which was anathema to good socialist policy. Fan has not yet been seen in public, even after her apology. Questions about her current status still linger. The most recent disappearance is perhaps the most concerning from an international perspective. 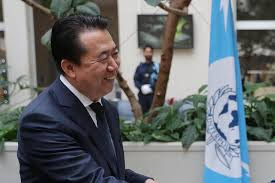 Chinese national Meng Hongwei was elected President of Interpol in 2016 after a distinguished career in law enforcement. Hongwei and his family lived in Lyon, France where he carried out his Interpol duties. Just a few weeks ago, Meng disappeared on a trip home to China. His wife received a mysterious text from her husband’s phone telling her to wait for a call, and the text was accompanied by a knife emoji. This message suggested a potential kidnapping, and a ransom demand was expected to follow. Mrs. Meng (Chinese wives do not normally take their husband’s names but Grace has done so now to show solidarity with her missing husband) reported his disappearance to French police, and their investigation prompted a Chinese government announcement that Meng was being held in an unspecified location while being investigated for taking bribes and other crimes of “willfulness.” After publically disputing the charges, Mrs. Meng received a threatening phone call indicating that she should remain silent or two “work teams” would be dispatched to deal with her. She is currently under French police protection while the search is underway for the teams that targeted her. It seems only a matter of time until a confession from Meng appears on the internet and a sentence is imposed. The mystique of China continues with political machinations and the flexing of economic and diplomatic muscles via extrajudicial abductions. We are left with the burning question—are there lines the Chinese authorities will not cross? I can't imagine any reason to target a popular actress other than to make it clear that everyone is expendable, and no one is unreachable. Great column, K.J. - "ripped from the headlines" as they say -- very important headlines highlighting the lengths to which the Chinese government will go to silence their detractors. At the top you mentioned book store owners in Hong Kong which reminded me that a friend who is a recognized top expert on China and has served in several US government positions, Michael Pillsbury, wrote a terrific book on China's long term goals titled HUNDRED YEAR MARATHON which hit the NYT bestseller list and was translated into 12 languages - but interestingly, the book was "classified" in China. Thanks, K.J. for this discussion. What an important reminder of the power of an authoritarian regime. From arrests to kidnappings and murder, Beijing rules with a steel fist. Thanks for a great post, KJ. Very disturbing. I can't imagine the terror their families are feeling. Great post, KJ. Disturbing post, though it is! What a good idea to discuss this, Kim -- great, important post. It's enormously disturbing. Karna, that's very interesting about your friend's book. I think at some level the impulse to stifle dissent is itself an admission of at least some degree of (self-perceived) weakness. Though unfortunately, at the same time, the officials ordering these disappearances clearly feel they can act with impunity. And with the appalling disappearance of Jamal Khashoggi, it's not just China. Truly frightening. The idea that a citizen has no freedom and teams could be dispatched to pick you up outside of China is disturbing. But, the targeting of citizens from a foreign countries, like with the booksellers, is very scary. I wrote about China in my book, and wasn't that flattering. May I'll let it drop into obscurity before I decide to travel there.